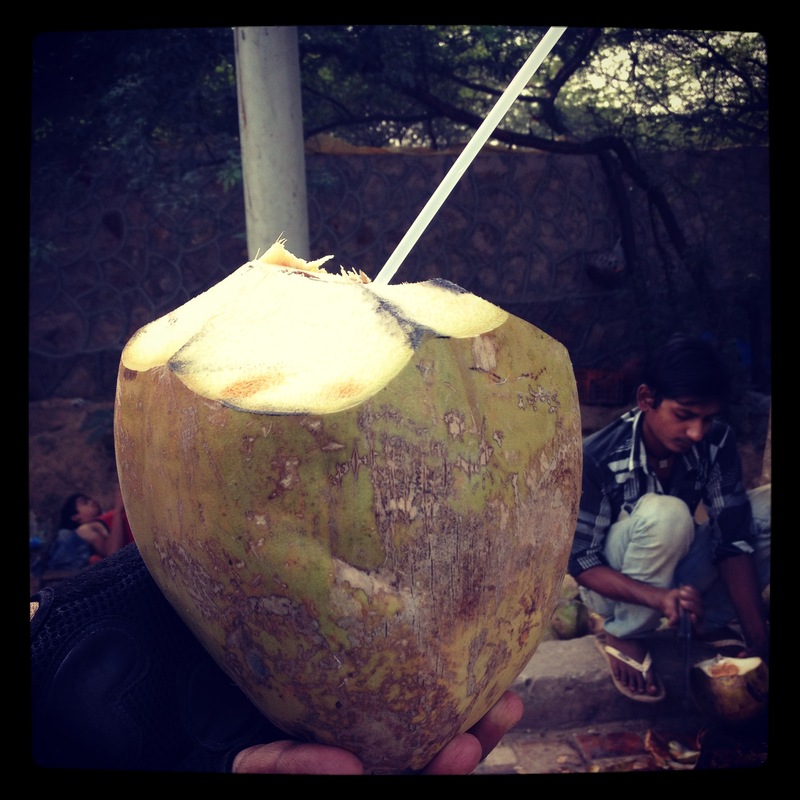 For 30 rupees, he cuts open a coconut and hands it to us with a plastic straw so we can gulp the water down in one go. When we’re done, he splits the coconuts in half, extracts the tender flesh from inside and packs it for me, to-go. This is what I used for this smoothie! Usually, I bring this fruit home and refrigerate it in an airtight container after I’ve cleaned and cut it. I like to munch on it through the day. But for once, I decided to experiment with it. I was craving some sort of smoothie but the only compatible fruit I had at home were bananas and mangoes. I generally consume mangoes in very small quantities because it’s too sweet for my taste and the combination wasn’t calling my name. On the other hand, the huge stash of fresh coconut flesh prompted me to give this smoothie a chance. Most banana coconut smoothie recipes I found online used bananas+coconut milk, which sounded pretty rich to me. Maybe a bit much for a post workout recovery drink and not really my idea of a healthy-ish breakfast. But the version with fresh coconut was another story altogether. This post wasn’t really planned. But a request for the recipe from a friend on Instagram & Facebook made me put it down here. Which should explain the Instagram pictures! 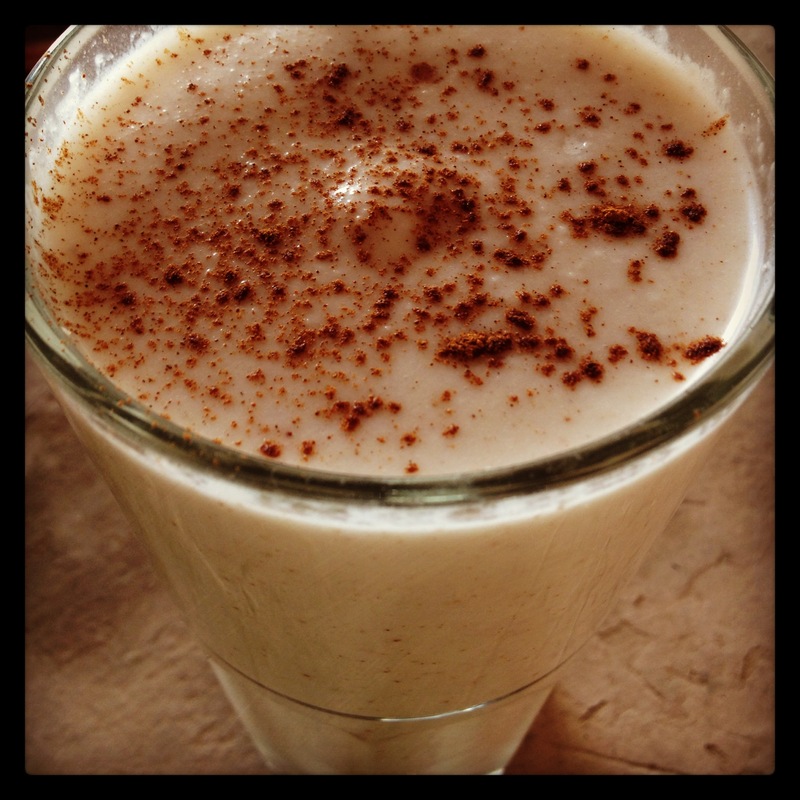 I blended the coconut, banana, honey, ice and 2 pinches of cinnamon in a blender till smooth. Poured it into a glass, sprinkled a little more cinnamon and gulped it down. Cool. Refreshing. Light. Summery. Perfect. The version with banana+coconut milk sounds equally delicious but just a tad rich for my taste. Go ahead and give it a try if it’s calling your name! If you don’t have access to fresh tender coconut flesh/ water, use bananas and bottled tender coconut water as the main base and add 2 tbsp of packaged shredded coconut for the intensified flavour. 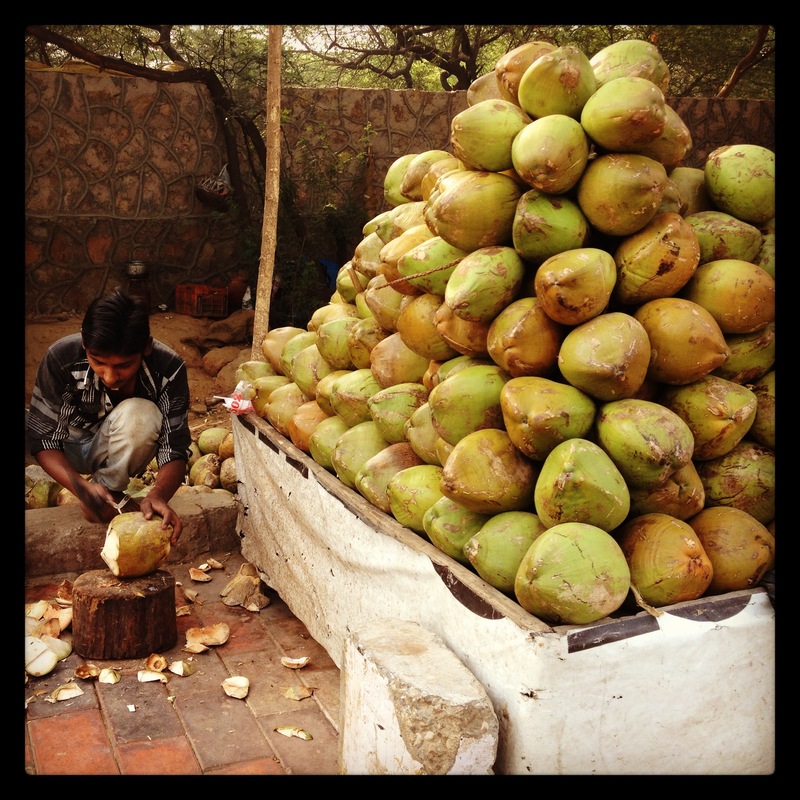 Since coconuts are not native to Delhi, the ones we get are riper than the ones available closer to the coast. Ideally, the most tender/ soft flesh of the coastal (and not transported across the country) coconuts would be ideal for this smoothie. It will be even lighter, more refreshing and packed with flavour.